General Application: Great tool for stretching, promoting flexibility and Myofascial Release! Alleviates muscle and soft tissue tightness of the upper and lower back, IT band, hamstring, adductors, upper arm, and much more! 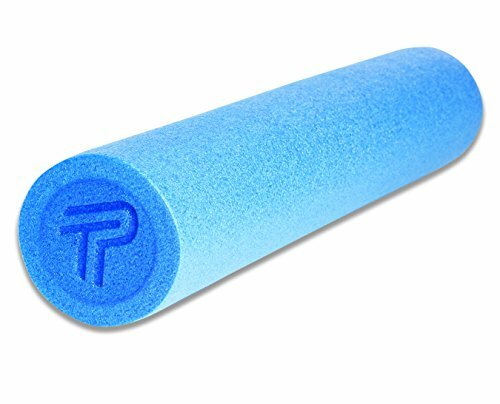 Medical Applications: The high density Foam Roller stretches muscles and tendons, breaks down soft tissue adhesion, and soothes tight fascia while increasing blood flow and circulation to the soft tissues. How It Works: Using your own body weight and a Foam Roller, you can perform a self-massage or Myofascial release. By applying gentle, sustained pressure on the soft tissues, Myofascial release results in softening and lengthening of the fascia. Myofascial release has been shown to relieve various muscle and joint pains such as IT band syndrome and shin splints as well as improving flexibility and range of motion. Excellent Tool to Promote Flexibility and MyoFacial release.